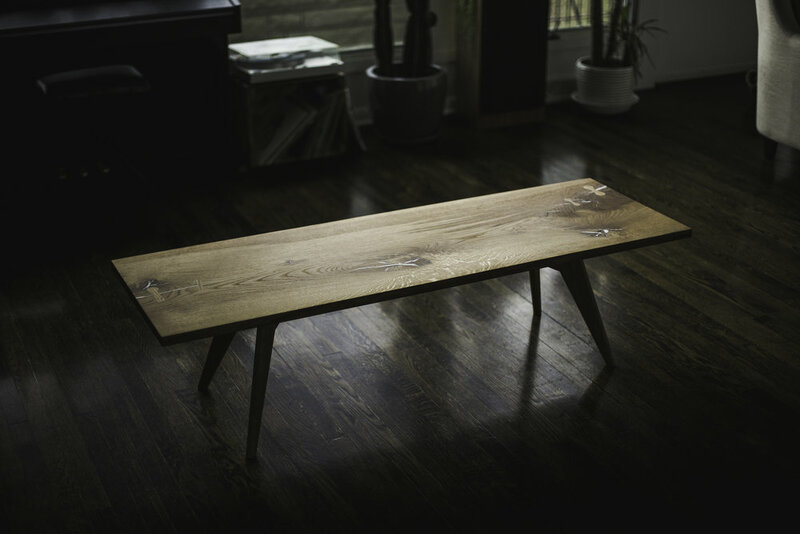 A modern coffee table with clean angled lines. 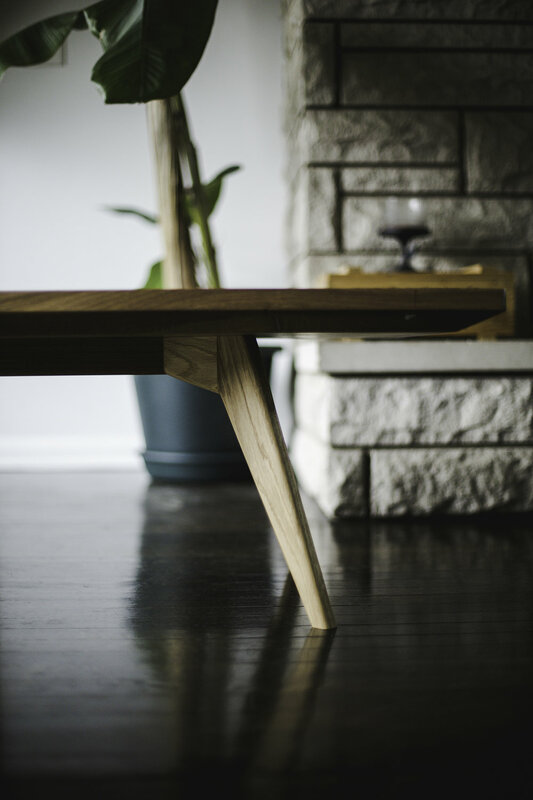 A modern coffee table with clean angled lines that has a language of it’s own rather than being placed into any distinct style group. 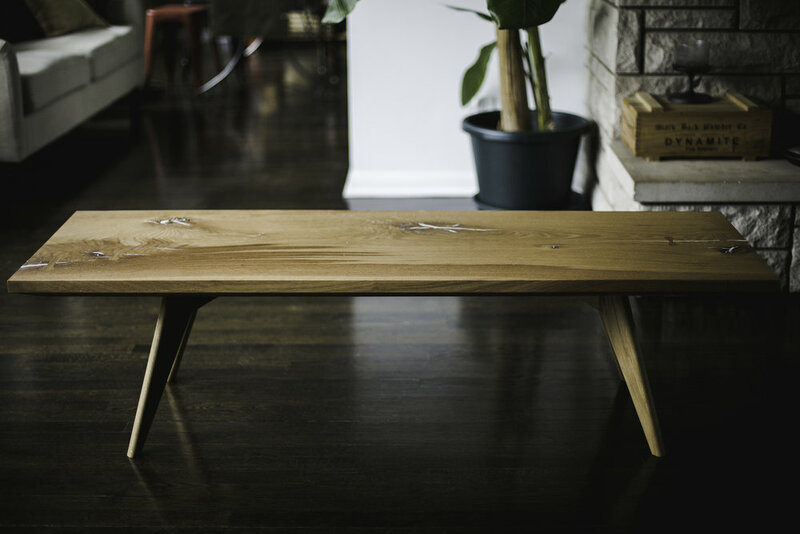 The table top is made from a single 3 inch thick slab of white oak that is flattened to 2 inches and is beveled along the bottom to lighten the coffee table’s presence in the room. 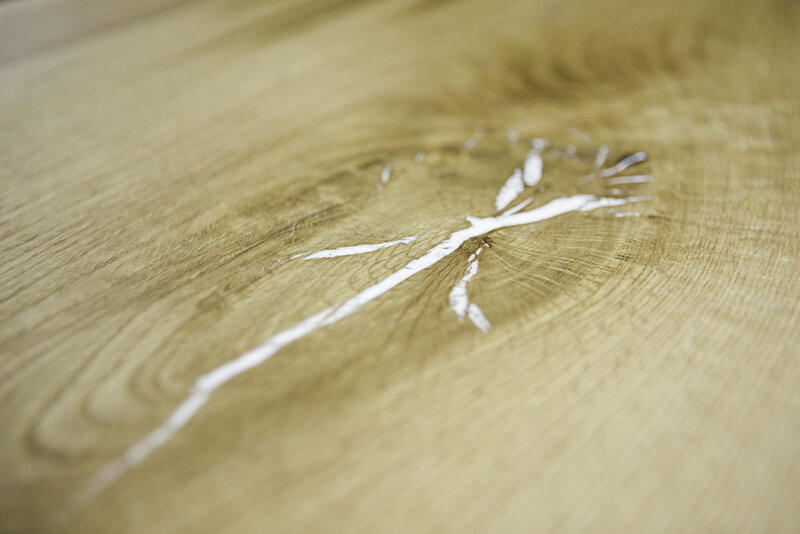 All cracks and knots in the table top are filled with an opaque white epoxy resin and reinforced with white oak keys. 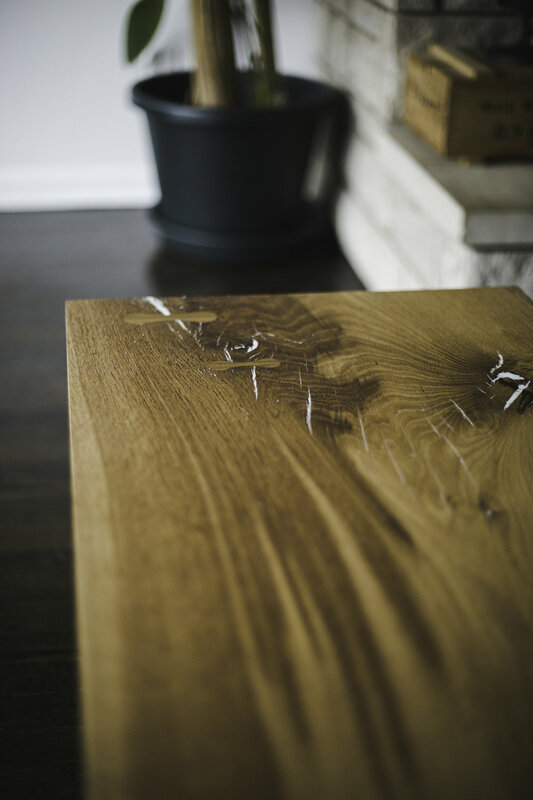 All wood construction and joinery.